If you're looking for a great way to make sure your garage door stays in an optimal shape, then routine maintenance is the service for you. It will help your system operate optimally for a long time, and will save you money on costly repairs. 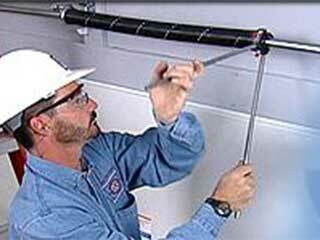 A thorough examination is always the primary step when it comes to garage door maintenance. You can count on our technicians to check the panels for rust, the springs for deformation and the cables for cuts and fraying. During the inspection of the tracks and hinges, we watch out for bending, in particular. Rollers can underperform and make noise if they have worn wheels or twisted stems. We will fix all damaged components and replace all worn ones on the spot. It's not just a matter of making sure you don't hear any squeaking. Lubrication helps your springs perform better, and prevents some of the friction based wear and tear damage from taking its toll. Not only will your garage door's operation be smoother, the system will also be safer to use, as the springs will maintain a good working condition for longer than they otherwise would. When it comes to your garage door opener, our work begins with testing the safety sensors. We make sure the photo-eyes are capable of properly detecting any obstacle that gets in the door's path. These components are incredibly important, as your door would be unsafe to use without them. We'll also make sure the door doesn't slam to the floor or hangs a little open by ensuring the opener's force and travel limits are properly adjusted. Contact our experts at Garage Door Repair Evanston to join many local homeowners who benefit from our routine maintenance services. Call us today.